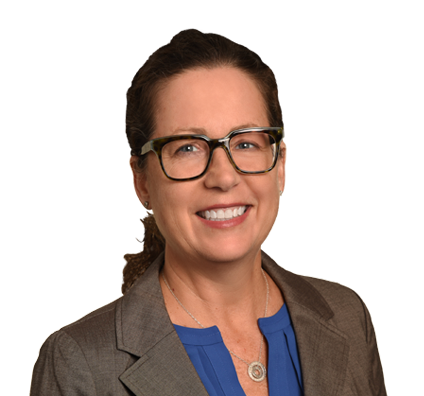 Wendy is experienced in advising hospitals and other healthcare organizations on operational, compliance and risk assessment issues. These most often relate to fraud and abuse, the anti-kickback statute, the Stark Law, antitrust, the Emergency Medical Treatment and Active Labor Act (EMTALA), the Health Insurance Portability and Accountability Act (HIPAA), Medicare, tax-exempt status, physician peer review, hospital governance and hospital management. Wendy also has experience in advising pharmacy benefit managers on pharmacy rebates and discounts. Before joining Husch Blackwell, Wendy practiced at Brown McCarroll. She also was in-house counsel for Community Health Systems, where she advised Quorum Health Resources, a hospital management and consulting company. She also previously was Vice President and Legal Counsel for the California Hospital Association, where she advised the association and its members on legislative and regulatory developments and managed the association’s many active lawsuits. Negotiated professional services agreements between physician groups and hospitals. Drafted and negotiated contracts for hospital management and consulting services. Negotiated agreements for participation in group purchasing organizations. Led compliance education programs for hospital CEOs, CFOs, administrators and consultants. Counseled state hospital association's executive management and hospital executives regarding strategic planning, federal and state legislative issues, and operational matters. Provided and managed outside legal representation for state hospital association lawsuits. Prepared and coordinated amicus letters and briefs on behalf of state hospital association and association partners. Educated hospital association members regarding significant federal and state legal and health care reform developments. Managed hospital association’s response to proposed reforms to medical staff peer review processes, physician employment and privacy protections. Commented on proposed federal and state regulations. Provided legal and technical expertise as part of a multidisciplinary team that achieved passage of SB 891 (Chapter 295, Statutes of 2008) establishing California’s Elective PCI Pilot Program. Represented and advised hospital medical staff teams regarding physician disciplinary actions and peer review hearings. Developed physician recruitment, call coverage and general contracting protocols for hospital clients. Represented psychiatric hospital clients in mental competency hearings.